Janis Joplin came to town for some red beans — apparently they help her with her bluesy voice. 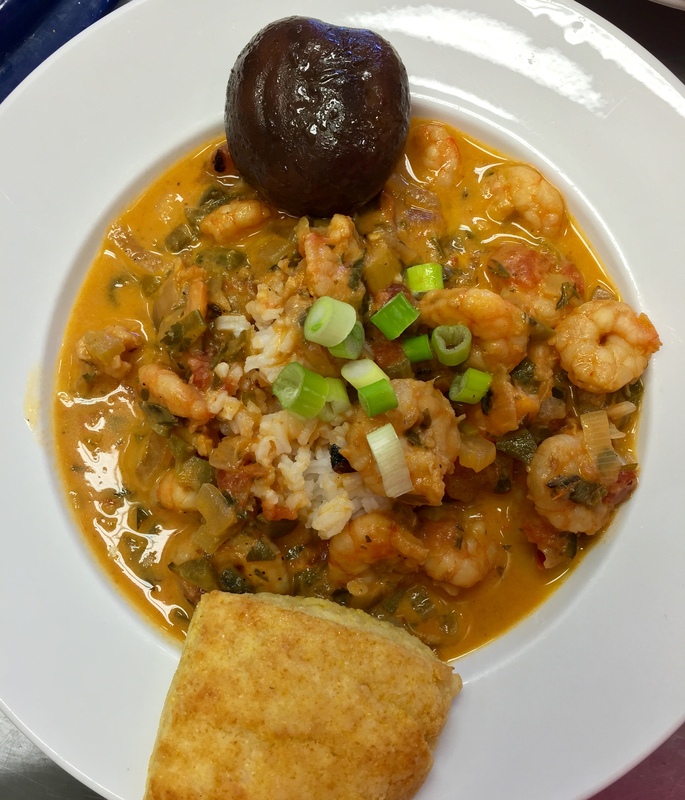 Have a look at what’s cooking in the kitchen for you this week: red beans and rice, fried pork chops, roasted chicken and polenta, jambalaya, and barbecued shrimp po-boys! Special made Louisiana red beans & rice with hot water cornbread. Our red beans come fully and deeply flavored, cooked in our own house-made smoked ham hock stock. Janis sang it so well: “Oh Lord, won’t you buy me some Mercedes beans? My friends all eat salads, I must make amends. Worked hard all my lifetime, no help from my friends; so Lord, won’t you buy me some Mercedes beans?” Who knew that famous bluesy howler from the Texas coast loved red beans so much? Well, apparently her maid growing up, a little Mexican lady called “Mercedes.” Come by on this rainy Monday for some great beans, you’ll be singing “Me and Bobby McGee” with Kris and Janis all week. We will have an Open House Thursday, December 10 from 5pm—8pm with all kinds of goodies and gifts for your Christmas holidays. Drop by the house to browse the gifts and graze some good food. Dan Buettner makes this sagacious observation: “Black beans and soy beans are the cornerstones of longevity diets around the world.” Rock on, brother. Come by the house for some beans — you’ll live longer (and probably have more fun, too).